Jessica Rae is a singer/songwriter who was born and raised in the windy city of Chicago. She currently resides and performs in Nashville, Tennessee and maybe this is why her vocals totter on the edge of that alt-country sound. Overall this EP didn’t really have the sparkle and shine that these illusive Ruby Red slippers were supposed to give to it. The ebb and flow of the album is pretty neutral until the last track. 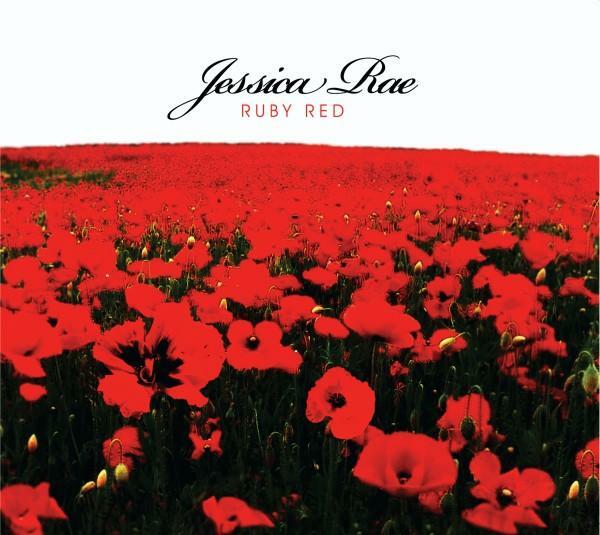 Jessica has a good voice, but this album greatly dulls that and doesn’t bring it to the surface. The mixing of the album and the backing instrumentation on Ruby Red do nothing to showcase Jessica’s voice. The first four tracks almost blur into one long song with very similar drumbeats, guitars, and tempo. Nothing jumped out and grabbed me, until… “Ruby Red;” the last track on the album. In the first song “Hello Chicago,” she sings: “And all I can see, is what I want to be. Here I am somewhere between hello and goodbye.” Her lyrics allude to the wistful dream of where she wants to be and in the meantime that she’s somewhere in between. The guitar and simple drumbeat on this track are simplistic and somewhat monotonous. “Dancing with the Devil,” is a somewhat unsuccessful attempt to sound sultry with the same flippin’ tempo and drums as the other four tracks. This song could have been great if it was just Jessica and her guitar; the musical accompaniment makes the lyrics of song lose the emotion that it may have had. But then we come to the last track, “Ruby Red.” This song has a great hook, great lyrics, a great beat; it makes you want to get up and move your feet. It has a slight Dixie Chicks feel to it. This track should have been the foundation for the album. The album is called Ruby Red and the four beginning tracks in no way flow together with this song. She should have taken the Wizard of Oz theme and ran with it. The tracks could have been “Have a Heart,” “He was a Tin Man,” “I Don’t Think We’re in Kansas Anymore,” etc… If she can find her ruby red slippers and harness their power and dig deep, maybe her potential can be unlocked from somewhere over the rainbow.